Underground twin turbo lamborghini gallardo. Front end cleanup with custom powder coated wheels and tinted side and tail light markers. 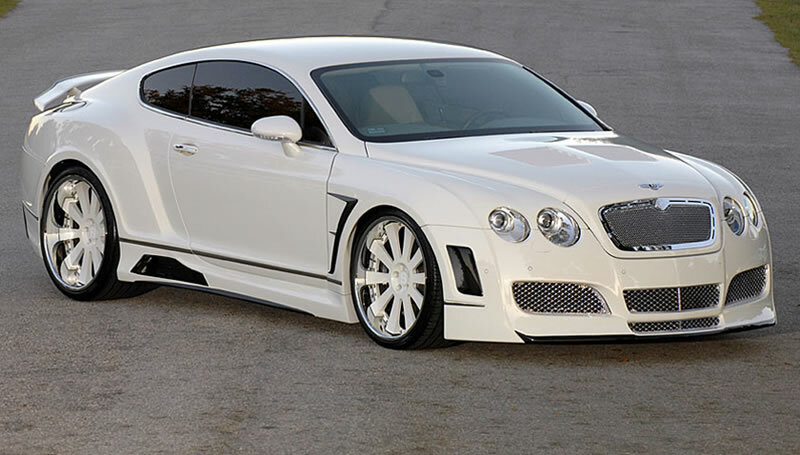 This Bentley Continental GT Veilside widebody was the first of 100 kits made. It is Serial Number 001. The kit was molded onto the car, gapped to perfection, disassembled and completely painted. Custom painted wheels to match the car. The hood was designed and hand fabricated by Exotic Concepts upon customer's request. Aluminum hood opening along with welding and refitting Ferrari style vents in the fenders. Custom made rear wing for the trunk. Tinted taillights and side markets and, as always, paint matched to perfection! This car was brought to Exotic Concepts with a laundry list of work needing to be performed. The original shop could not complete the work to the customer's satisfaction. This AMG 6.3 CLS received the "Black Series" treatment from Exotic Concepts. It consists of hand fabricated fenders designed by Exotic Concepts. All trim, door handles, mirrors, and moldings received satin black paint. Headlights & Taillights are tinted satin black. 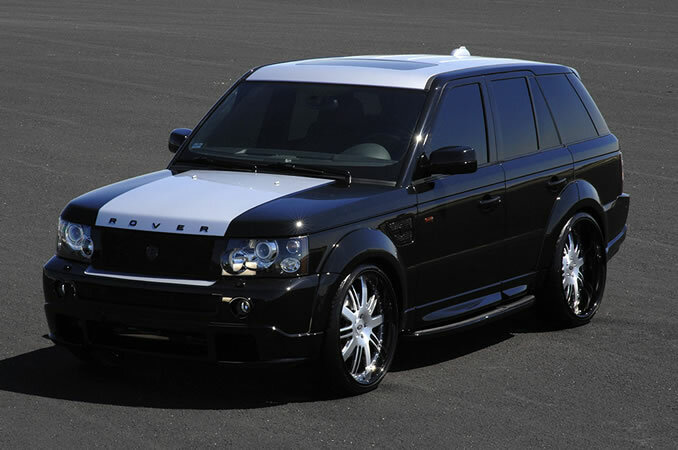 This Range Rover Sport supercharged was custom from bumper to bumper. Kohn body kit was molded to the body and then the car was gapped to perfection and custom painted with a silver stripe down the middle. Headlights were disassembled and painted black and custom fitted stainless steel exhaust. This SRT8 received front spoiler, rocker panel, rear bumper and rear wing painted silver to match the car. Taillights were tinted. Custom painted stripes on hood and trunk done to perfection. This Lamborghini Murcilago received expert customization by Exotic Concepts including custom painted wheels, front & rear grilles, front bumper, and tinted the taillights. This 1976 Bronco was a complete color change. It was burgundy and had a complete paint job which was changed to blue. Quarter panels and fenders were replaced. Entire car regapped to perfection and then custom painted Exotic Concepts Pearl Blue. The entire car was then wet sanded and buffed to the standard Exotic Concepts show quality paint job. This Dodge Challenger received a custom fit and paint front spoiler bumper, rockers, rear bumper and rear wing. After removing all chrome from the vehicle It was prepped and Gloss black was applied to give this truck a very sinister look. Custom front and rear suspension with 22" in the front and 24" in the rear with custom fabricated brakes. 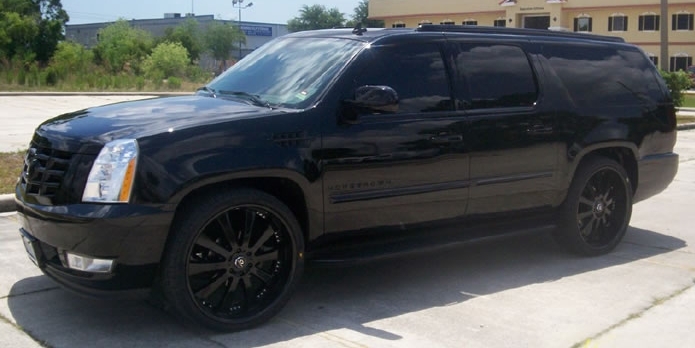 Full body customization, everything from custom brake calipers and paint to the tinting of marker and tail light. Spectacular custom matched painted wheels where added to a full body customization that included removing and filling all marker lights. Custom body kit and blue pearl painted wheels added to complement this GT-R that got a new custom color paint job.